OSLO, June 25 (Reuters) – Norwegian offshore oil rig workers signed a new wage deal on Thursday, avoiding a strike that could have cut energy production, labour unions said. Union representatives said all workers would get a 1 percent wage increase but added that the minimum raise would be 5,500 Norwegian crowns ($702.01) per year. This means the lowest-paid workers would get an increase of more than 1 percent. 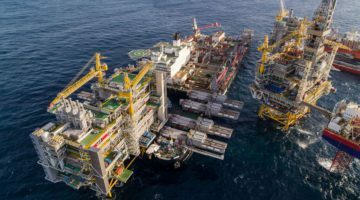 Some 574 rig workers, including 189 employees on Repsol SA’s Varg and BG Group Plc’s Knarr oil fields, had threatened to strike if talks, which begun early on Wednesday, failed. Both fields are operated by vessels owned by Teekay Corporation’s Norwegian unit. Varg produced 6,000 barrels of oil per day in March, while the newly started Knarr is expected to gradually ramp up to 63,000 barrels per day. The remaining 385 workers are based on four drilling rigs owned by Odfjell Drilling Ltd, Stena Drilling, China Oilfield Services Ltd and A.P. Moeller Maersk . The Norwegian Shipowners’ Association, negotiating on behalf of the employers, confirmed that an agreement has been reached and a strike was avoided. A strike could have ultimately escalated to around 4,900 workers, the unions said previously, but most of these employees work on exploration rigs and are not involved in ongoing oil production. Norway produces almost 2 million barrels of oil, condensate and natural gas liquids per day and is also a large producer of natural gas.